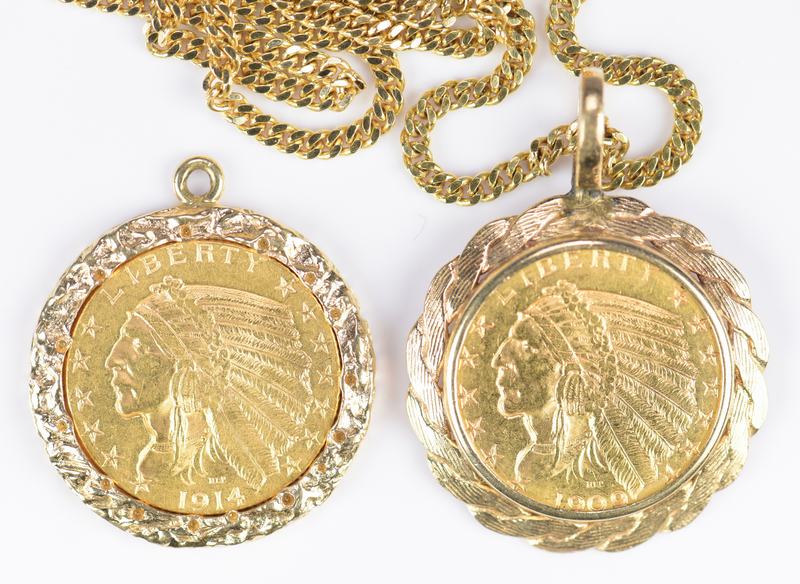 1st item: 1914 Indian Head Gold $5 Half Eagle coin in 14K nugget-style frame pendant, 1 1/16" dia., 14.8 grams. 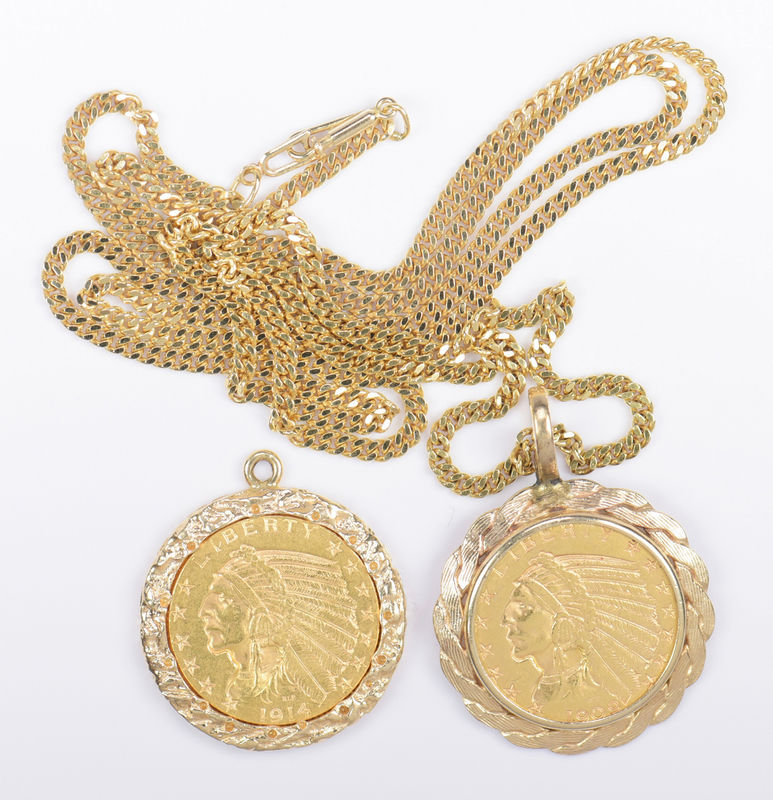 2nd item: 1909 Indian Head Gold $5 Half Eagle coin in 14K twist gold frame pendant, 1 1/8" plus 5/16" bail, 11.9 grams. 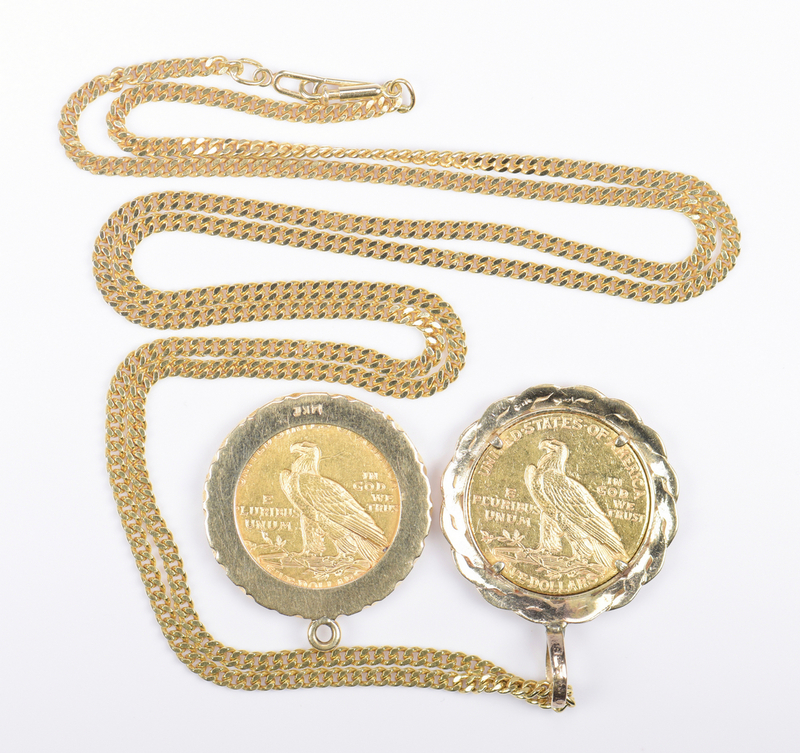 Total 2 coin pendants: 26.7 grams. 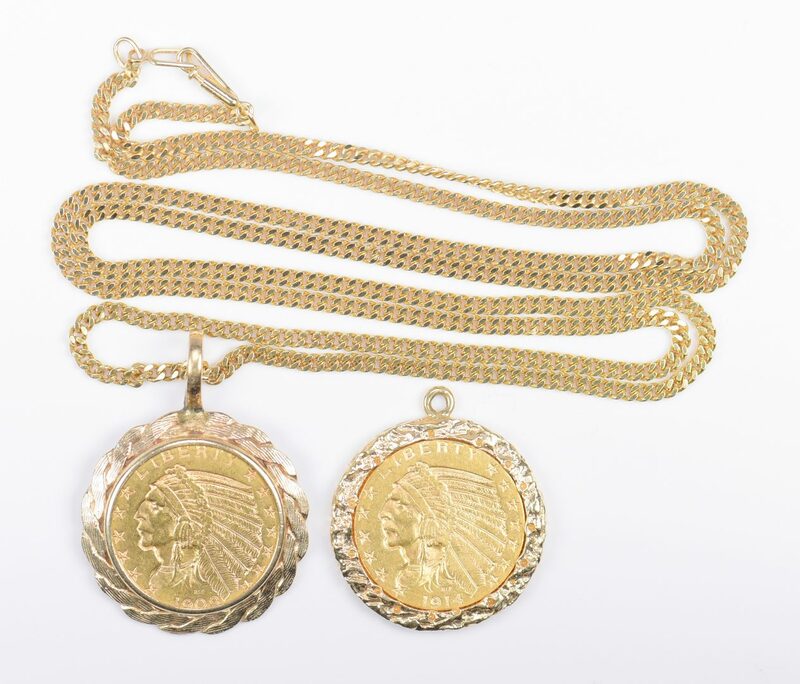 3rd item: 18K yellow gold flat weave chain with push pin clasp, 29" L. 16.6 grams. Note: Chain clasp will not go through ring of nugget style pendant. Estate of Jane McKinnon, Lenoir City, TN. CONDITION: Overall good condition with some surface scratches on mountings.